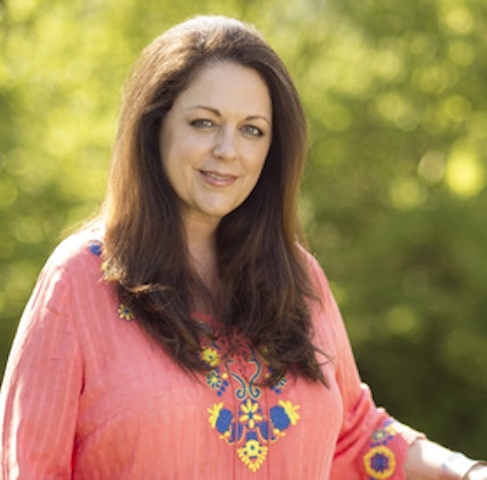 Three time IBMA Songwriter of the Year nominee, recording artist and author Donna Ulisse has decided to turn her passion into teaching and sharing what she does in the process of constructing a song, into a traveling workshop called Songwriting Escape. The three-day workshops will be taught with a dynamic team she has already tested the waters with and they have developed a carefully thought out curriculum that will accommodate writers of all levels. The first workshop will be held from January 22-25, 2015 in Flagler Beach, Florida. Thursday the 22nd will be an optional day of instrument and vocal harmony workshops for $150.00 for the day per each workshop. Instruments offered will be mandolin taught by Jon Martin, bass (electric & upright) taught by Bill Baldock, banjo taught by Greg Davis, guitar taught by Brad Davis and vocal harmonies taught by Donna Ulisse. 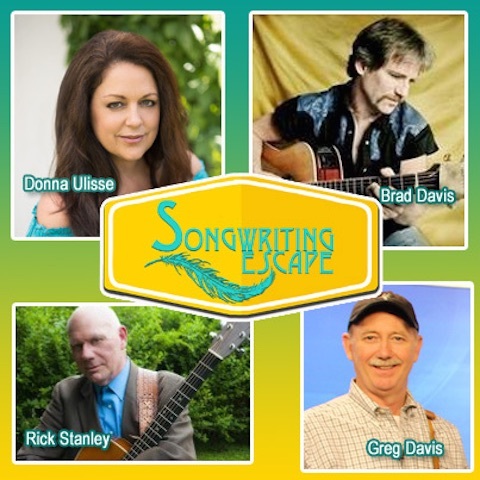 The songwriting workshop will begin on Friday morning, January 23, 2015 taught by Donna Ulisse, Brad Davis, Greg Davis and Rick Stanley. However, those interested may still take mandolin and bass workshops on Friday and Saturday. Cost for the songwriting workshop weekend is $695.00 but for those who register by December 15, 2014, the cost will be only $500.00. The goal in creating these workshops is to share the teaching team’s combined musical experiences in an effort to help attendees create the songs that they want to write. The team has experience and expertise in the elements that build a song and they plan to share as much information on songwriting as the hours will allow. They will set the stage for a three-day escape into the imagination where students will be exposed to lyric and melody theory and methods that they embrace in their own songwriting. There will also be an opportunity for all registrants to present and perform songs that they want help dissecting, honing or just for the teachers and class to enjoy. The class members will meet and bond with fellow songwriters where they can also learn the very enjoyable and healthy exercise of co-writing. Ulisse has had songs recorded by Claire Lynch, The Larry Stephenson Band, Doyle Lawson & Quicksilver, Darin & Brooke Aldridge, Nu-Blu, The Bankesters, Diana Jones, Louise Mosrie, Natasha Borzilova, Rusty Nail Crossing and a song on the 2014 Grammy winning album by The Del McCoury Band as well as the many chart topping songs off her own album releases over the past seven years. She also published her first book in 2014 about writing songs titled The Songwriter in Me: Snapshots of My Creative Process. Brad Davis has had songs recorded by Tim McGraw, Tommy Shaw, Phil Leadbetter, Billy Bob Thornton, The Box Masters, Nightflyer, The Bankesters, Lonesome River Band, Tony Trischka and Jo-el Sonnier to name a few. He has also had his songs in several movies including the soundtracks for Jayne Mansfield’s Car, the documentary about Willie Nelson, King of Luck and the Steven Seagal film, Fire Down Below. Davis is also a recording artist in his own right and as a guitarist, he is known for his amazing “Double-Down-Up” guitar technique and has played with the likes of Sheryl Crow, Earl Scruggs, Marty Stuart, Dwight Yoakam and many more. Rick Stanley is the writer of the bluegrass standard “Home in the Mountains” which has been recorded by numerous bluegrass artists including Ralph Stanley, Charlie Sizemore, Keith Whitley and Don Rigsby. He has also had songs recorded by the Larry Stephenson Band, Doyle Lawson & Quicksilver and Donna Ulisse. Greg Davis’ love for melody turned into a gift for writing them. He and his brother Brad Davis have partnered up to create many timeless tunes through the years. He has written many instructional banjo books and is a natural teacher who brings his gift to workshops across the country. During the weekend there will also be a full performance by Donna Ulisse, Brad Davis and Ulisse’s Poor Mountain Boys which will be included in the fee for attendees. The performance will be open to the public for a ticketed price. For more information about Songwriting Escape, please visit www.songwritingescape.com.